For ensuring good health of your eyes, you should always follow a well-balanced and nutritious diet. This should contain vitamins, proteins and minerals in the right amounts. Anything less and your eyes will eventually suffer. We are always under exposure to various gadgets and mobile phones in today’s times and hence looking at screens for long periods of time hinders eye health in any case. There should be some simple exercises done for the eyes in order to keep them healthy and fresh, recently I have wrote an article on Mind exercise benefits. 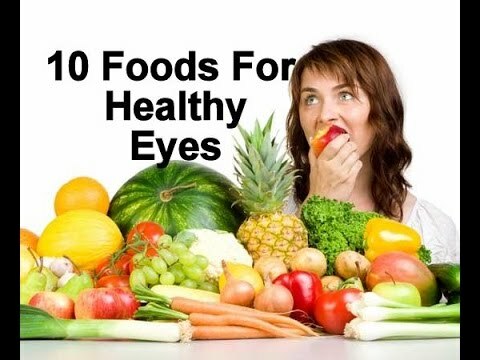 • Eat those foods which have Vitamin C and A along with beta carotene and lutein for eye repair. • Consume foods like collard greens, kale, spinach, Brussels sprouts and Zucchini. • Always get ample rest to give your eyes a break to recover. • Take breaks for 5-10 minutes to rest your eyes if you work on a computer for long periods of time. • Do not just wash; instead sprinkle your face with water when your eyes are fully open. • Put your hands together and rub them to create some warmth. Then put them on your eyes to refresh them. • Lower the brightness levels of your mobile and PC screens. • Consume bilberry organic products since they help maintain healthy blood flow levels. • Eat salmon since it contains healthy Omega 3 fatty acids. • Egg yolk is rich in lutein, vitamin A, zinc and zeaxanthin which helps the eyes. • Kale is one of those super foods that you should always eat. It helps immensely when it comes to ensuring better health for your eyes. It has a lot of minerals, vitamins and other helpful nutrients which are highly essential. This is a fruit that has several benefits and it comes packed with Vitamin C. This is really good for the eyes and this can be eaten individually as many of us like it. You can also consume it by adding it to any other preparation. Almonds contain Vitamin E in high amounts and they go a long way towards combating cataracts if they are regularly consumed. Consumption of dairy products is also very helpful for maintaining good eye health. These items usually contain various minerals which are essential and you can have milk or yoghurt on a regular basis. This step will work wonders when it comes to safeguarding your eyes from several damages. Carrots are rich in Vitamin A and are veritable super foods which should be consumed regularly. You can have it as part of regular food preparations or even as a healthy snack if you like the same. You should start eating all these foods and include them in your daily diet in order to make sure that your eyes stay healthy and refreshed. Remember that your eyes are a huge asset and properly taking care of them is necessary at all times.